Friday come around so fast it seems, but highlight of my week was fellow friends Marth (Anime Blogger) and BladeNinja (Youtuber) joined me in a live stream this week. It’s called the reverse otaku variety show and it’s where we all talk about non anime related things, this was a second instalment. It’s not an on going thing but seems it might be from now on so if you need entertainment, we talk about from I get called thug leading a thug life, to when Marth’s birthday is. As for next week’s range of post I have not decided on, still haven’t wrote my February favourites that will be one, so I’ll decide over the weekend what I’ll post. Before I get into the features I wanted to do a special shoutout to Katy from Yatta-Tachi. Last month she included me along with fifteen other female anime youtubers in a post to go subscribe to all of this. I was very surprised and felt honoured so thankyou Katy and go check out the post if you wish too. This week’s blogger feature goes to a hardworking ani blogger who I thought I had already featured but no. Bad me. Karandi from 100 word anime has made a place for herself in this blogging community, become quite well known. Karandi consistency on her blog is something to admire and feel inspired by, posting on the daily. I honestly don’t know how she manages but hats off to you dear. 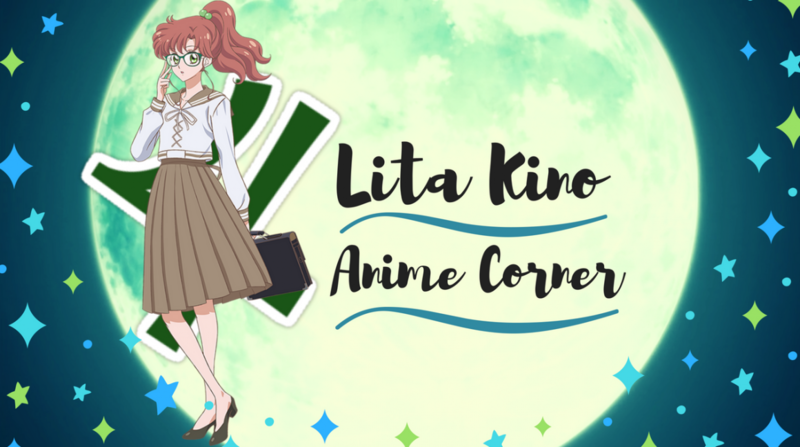 On her blog she reviews seasonal anime, episode reviews, tuesday top fives, full series reviews and “In case you missed out” series of posts she features. Couple of posts I’m fond of she wrote for you to check out Friday Feature – Product Placement and Friday’s Feature – The Flawed Premise of Orange . I can’t remember when I came across Karandi but no end of times she has featured me and it’s time to return the favour. So please head on over and check out this amazing blogger, she’s most friendly and spotlights on you this week. His and Her Circumstances is what I would recommend to those who aren’t into the romance genre. The Animewardweller high lights three vital points on why this romance series is overlooked easily, exploration of all the characters, romance build up around the story and comedic factor. They highlighted in their post all the reasons why I fell in love with this show. So please go check out their post !!! The genre of Horror in anime is quite lacking I’ve found for the longest time. Ace from Humble Ace covers the topic of Horror addressing that’s a snore fest for people these days. Not just highlighting anime genre where the horror genre is not strong and shows like Higurashi are well done series, with characters with character. Also addressing video games like silent hill, dead space of what makes them bring the terrifying tension. This was a great piece to read and something I’ve been waiting to see written about in the way Ace approaches this, Please go check out their post @!! Look it’s another Kenshin post !! Ennadune from Friends Of Fiction, does a brief look at the anime and manga. Highlight points of why they ship Kaoru and Kenshin (like me), why Kenshin is one of their favourite fictional characters, a man full of mysterious and contradictions. I really enjoyed this so please go check it out !! Toxic Muffin personal post on their relationship with anime and the community was a enjoyable read. Talking about how they avoid a negative outlook and always are positive outlook on anime. They talk about in their post how they got to this conclusion and recommend you go read as it’s a eye opener. Please go check out their post !!! I have not read many posts this week as just being busy with work, I intend to catch up on the weekend. Previous Anime Plots/Idea I’d Like To See Happen…LIKE NOW !! My favorite entertainment Reverse Otaku Variety Show. Thanks for the feature. I appreciate it and I’m glad you enjoy the blog. Thank you for the feature! I’m really happy that you liked the post :).. I did check out some of the other posts you’ve featured here. Pretty interesting reads so thank you for that!